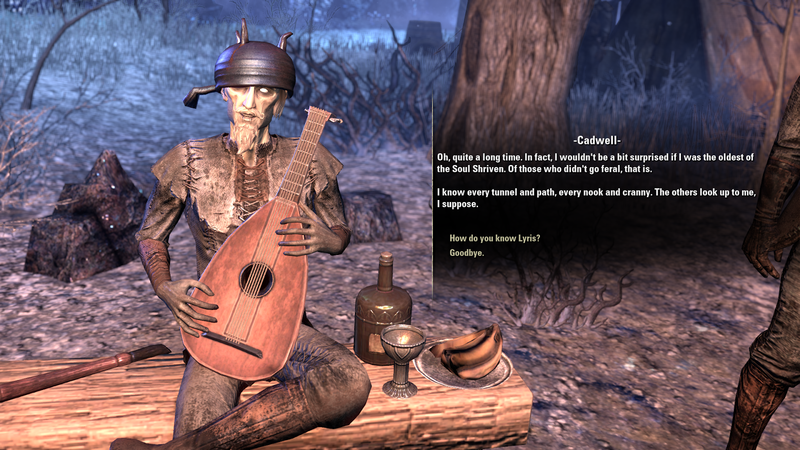 If you're planning on playing TESO when it goes free to play in March I'd advise you to set aside plenty of prep time. I ordered the game from Amazon last weekend; it turned up on Thursday but I didn't open it right away. I planned on starting on Saturday morning so I'd be able to give it a run of several hours without interruption. Fortunately I thought I'd get ahead of myself for once so I split the shrink-wrap on Friday night in order to get the thing installed in the background while I played GW2. The first surprise on opening the case was finding four DVDs inside. When did I last buy an MMO that came with that many installation discs? The Secret World and GW2 both come with just two. The installation process itself went very smoothly. In between swapping discs I made a new email address (always best to use a unique email for each MMO) and went through the lengthy registration process. That took around an hour all told. I was surprised and mildly miffed to find that you can't play TESO without entering full personal and payment details and agreeing to a monthly payment plan. Since the game comes with 30 days of game time this would have seemed heavy-handed even while the subscription was mandatory but now that the buy to play model has been announced and given a start date less than six weeks away it seems positively ludicrous. It was sign up or don't play, though, so I grudgingly filled in my details, credit card and all, chose the monthly payment, confirmed all the necessary emails and then cancelled my subscription. 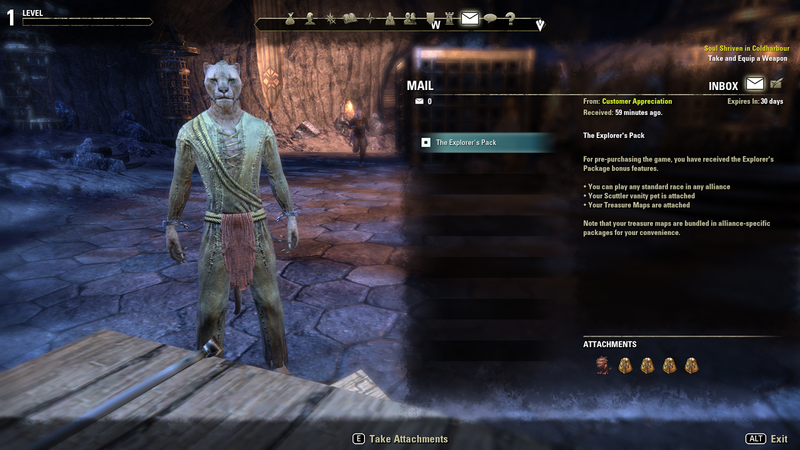 Not getting me in the right frame of mind here, Zenimax. Dressed in rags? Check? In an underground prison? Check. At this point I looked at the installation footprint; it was 31GB. That seemed big to me. Naturally I expected some patching so I thought I'd best get on with things. Just as well. The first patch was 14GB. That took quite a while and when it was done the patch progress indicator read 2% complete. Hell's bells! Fortunately, it must be tallying the number of files, rather than the size, because the remaining 98% didn't take as long as the first 2%. Also a lot of the patching presumably overwrote the original installation because instead of ending up with a 50GB plus install the final score was just over 36GB. By then it was well gone midnight. The whole process had taken over five hours even with our pretty good cable broadband and its decent download speeds. Just as well I hadn't been planning on playing that night. On Saturday morning I dithered around doing displacement activities before finally firing the thing up. It was apparent there was some subconscious resistance going on. I've never liked Elder Scrolls games much. I kept thinking I'd rather be playing GW2 or EQ2 - or even the Valliance pre-alpha. In the end I got started only to be informed that as the account had never been logged in from this particular computer before I'd have to reply to a security email before they'd let me play. While I support that method of keeping my account secure it did seem just a tad paranoid, given that this particular account had never been logged in from any computer, ever. You would think the first log-in could be trusted to be valid, wouldn't you? Pre-order bonuses. For a given value of "Pre"
That was the final bar I had to jump. Up came character creation and here the game seemed to be reading my mind: it presented me with a Khajiit, the cat race that I'd already decided on playing. Just as well. It took me three-quarters of an hour to go through all the sliders and options - imagine how long it would have taken if I'd been tempted by a race that actually has recognizable features to adjust. I'd done a small amount of advance research, which led me to believe that the penalty for playing a cat-person would be having to pal up with *shudder* elves in the Aldmeiri Dominion faction. Well I dodged that bullet. My Khajiit Dragonknight is a proud if almost completely ignorant member of the Daggerfall Covenant. How did I pull that trick off? Ah, that brings me to the second surprise I found when I opened the box. As well as the sheet with the registration key there was a slip of paper with another scratch panel. That sheet informed me I was entitled to an Explorer's Pack containing Bonus Treasure Maps, a Scuttler vanity pet and the right to "Play any race in any alliance". I went to the account page and input the code before making a character and was thanked for having pre-ordered the game. Apparently Amazon UK are sitting on some very old stock. Still, lucky break for me - now I don't have to be dealing with Elves other than at the sharp end of my sword. The one and only moment of entertainment in the entire dismal tutorial. From there it was straight into a rather poor cinematic and on to a very annoying tutorial. Even with all my graphics auto-set to "High" by the game I was unimpressed with what I was seeing. It reminded me very much of Neverwinter, with lots of relatively undifferentiated, flat textures and everything blown up to 125% natural scale. That said, it's hard to tell how good the graphics might be when you're dumped in a virtually featureless cave. The controls were also reminiscent of Neverwinter only even worse. I really loathe not being allowed free and full use of my mouse pointer. I'm perfectly capable of playing games that use that fixed center-screen reticule to aim, mouse to attack and keyboard strokes for everything else system but being able to use a control system and wanting to use it are two very different things. Consequently, what with the numbingly familiar "you died and now you have no soul and you're trapped in a prison and the prison is in a cave and there's a jailbreak and you are THE ONE and come on come on COME ON!!!" opening and the horrible controls, within five minutes I was simultaneously on the verge of a panic attack and bored out of my mind. So I logged out and went to do some dailies in GW2 instead. Then I made a coffee, came back an hour later, sat down and tried again. This time it went a lot better. The story was still absolutely terrible and the voice actors seemed to be on some kind of depressant drugs but eventually I made it through to the end of the Tutorial. I'm making that sound better than it was. The whole affair was still quite horrible. John Cleese's celebrated turn as Cadwell was the sole bright spot. After the third time I was told to go find something I couldn't see on the map I cracked and googled for Add-Ons. I rarely use Add-Ons in any MMO and indeed I largely disapprove of their very existence but there are limits to my patience and it turns out that playing an MMO that launched in the second decade of the 21st Century without even a mini-map goes beyond them. This! This is what I want to see first time I log in! Flowers! Grass! SHOPS! Sadly there was no Add-On either to give me Keyboard Turning or to replace the reticule/mouse nonsense with real MMO hotbar combat. There was one that gave me control of the mouse pointer but that doesn't help much when there's nothing to point it at. At least I now have a mini-map. Quite honestly, I'm surprised I got as far as I did. Had this been a completely F2P MMO and if I hadn't spent a few pounds on the box and invested so much time registering and installing it I doubt I'd have carried on. Which would have been a shame, because once I finally emerged into the sunlit, cobbled streets of Daggerfall, everything began to improve in a hurry. I'll save my first impressions of what could be called actual gameplay for another time but suffice to say once I got out of that bloody hellhole of a tutorial I did finally begin to enjoy myself. And there's the takeaway: all tutorials should be optional. It's in everyone's interest. Just imagine how positive I could have felt about the game if I'd been allowed to start in Daggerfall straight out of character creation. This entire post would have had a completely different tone. If developers wonder why so many people buy their games, log in once, log out ten minutes later and are never seen again, well there's your reason - not just bad tutorials but mandatory bad tutorials. Stop it. Just. Stop. 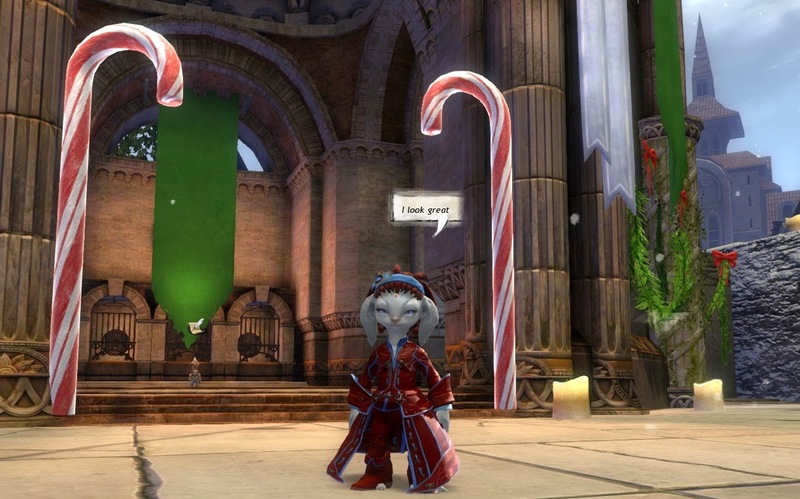 As anyone reading this almost certainly knows by now, Massively, the best-known of the mass-market MMORPG news sites, will be closing for business next week. As far as can be ascertained this has has little to do with the commercial viability or otherwise of the site itself and even less to do with the current fortunes of the genre. No, as far as we can tell Massively is just another casualty of the flailing, thrashing death throes of that almost-forgotten internet dinosaur, AOL. In common with a number of the ancient giants that stalked the wires when the web was young - Yahoo comes to mind - the brain seems unaware that the body died long ago. Massively was not without its flaws: far from it. Its writers were partisan, opinionated and not always on top of their brief. Its perspective was idiosyncratic. Its commenters were frightening. Nevertheless it was a unique and valuable resource for anyone involved in the hobby. I read Massively every day. As the years wore on I largely gave up on the routine posts designed to stimulate controversy, conversation and page views but I never stopped stopping by for news. There was no better place to test the temperature of the MMO corpus, no livelier water-cooler around which to gather, where gossip could be swapped and shared. The screenshots in this post are from the current open pre-alpha test of Valliance Online. Were it not for a news squib on Massively I wouldn't know this game existed. Because Massively received and relayed that press release I downloaded the game, made a character and added VO to the long tail of MMOs I've tried and will probably never play in earnest. That was what Massively did best. Every day they aggregated all the press releases from MMO game-makers around the world and put them in front of us. Where things went from there, well, that was up to us. I found so many MMOs through Massively, from Realms Online to Otherland. When MMOs I thought had died, like Otherland (yes, again) or Argo came back to life it was through Massively that I learned how exaggerated the reports of their deaths had been. I'd hyperlink those posts as I've done so often but it seems there's no longer any point. In a few days those links will go nowhere. Massively was a commercially-oriented, professionally-operated website. Its contributors were paid for what they wrote. Nevertheless, it always felt like part of this blogging community. With writers like Syp and Beau on board how could it not? I won't pretend I enjoyed everything they published. Not even most of it. Some days you could feel the thread wear thin in the weave. All the same I never undervalued the work the team put in. Massively was a magazine, a daily magazine, retailing 24/7 real-time rolling news when often there was nothing new to sell. They made the best of what they had and I very much doubt any of their critics could have done better or as well. Farewell Massively. You will be missed. We'll all have to work that much harder now that you're not around. Wilhelm recently rolled out a reminder of the handy NCSoft financials chart, prompting SynCaine to pop up in the comments with a predictable snipe at the Buy to Play model. What that chart really suggests to me, though, is that if you run with a revenue stream built on getting people to buy your boxes you do need to come up with boxes for them to buy at least once in a while. For whatever reason ArenaNet decided to wait two and a half years before announcing an expansion for GW2. Chances are, a full three years will have passed before money changes hands for that expansion, pre-orders notwithstanding. 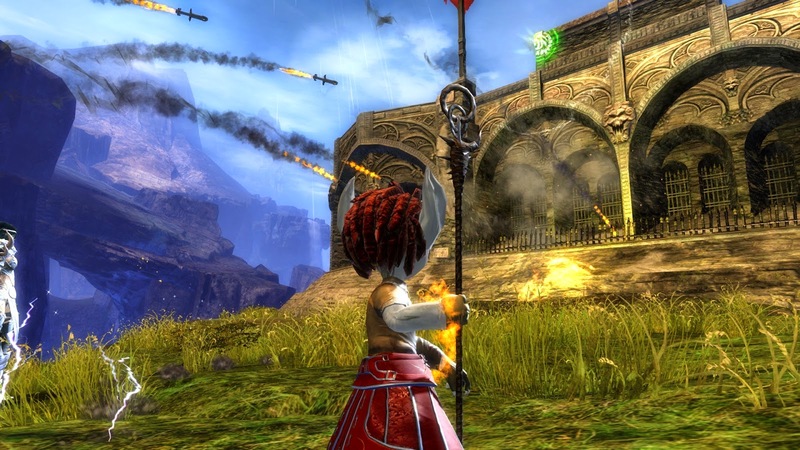 By contrast, before the first Guild Wars game reached its third birthday, it had received no fewer than four boxed expansions or "Campaigns". All of them were offered for sale both online and in bricks and mortar stores and there was a fifth, digital download only, Mission Pack. Two of the expansions even had premium-priced Collectors' Editions. 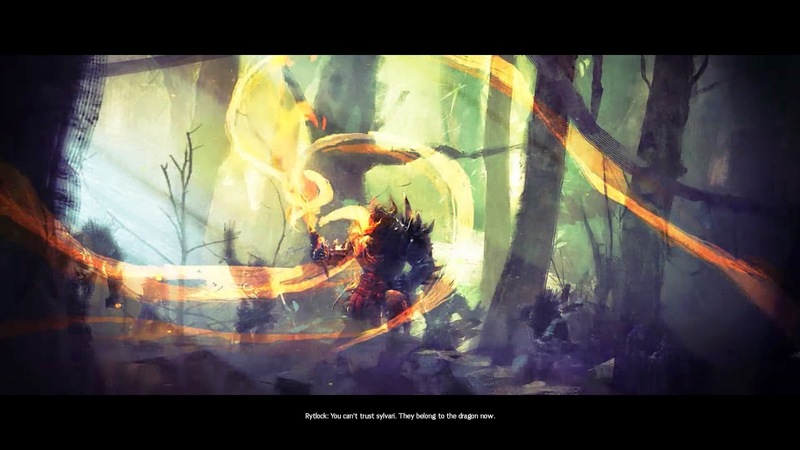 Another expansion was in the pipeline when Anet suddenly changed track. That expansion, which would have been called Utopia, apparently grew so out of hand in scale and ambition that nothing but a full new game would do it justice. The problem came with the bi-annual development cycle ANet had been running up until then. 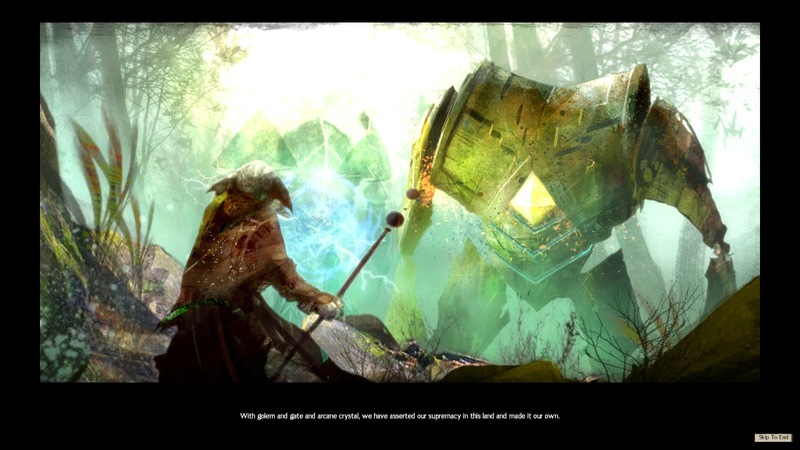 To quote the PC Gamer article in which ArenaNet co-founder Jeff Strain and game designer Eric Flannum were interviewed, "What the team felt it couldn’t do was implement its exciting new ideas in the game’s current campaign-every-six-months plan. 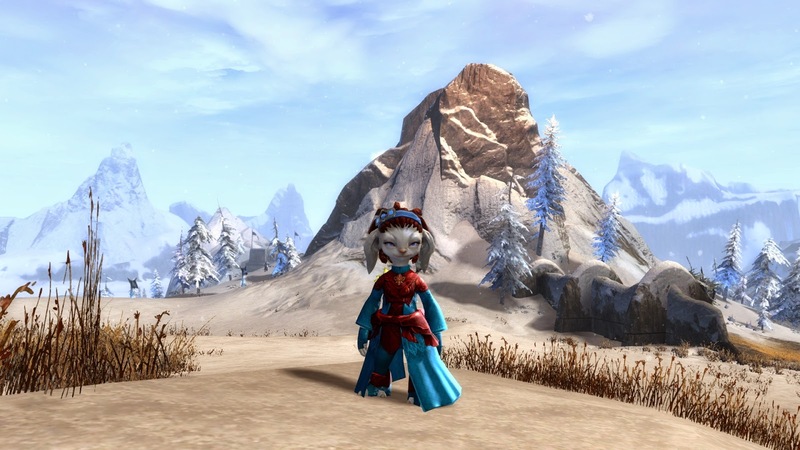 While the promise of fresh standalone content twice a year sounds great to players, its requirements have actually caused Guild Wars to become somewhat convoluted from a game-design perspective." Strain explained the decision thus: "We don’t want to make complicated games. We want to make fun, easy-to-grasp games that are easy to get into and not frontloaded with complexity." As a result of this new perspective, instead of continuing with the "make a box, sell a box, make another box" routine, development on Guild Wars was effectively sidelined in favor of making a new MMO entirely - Guild Wars 2. 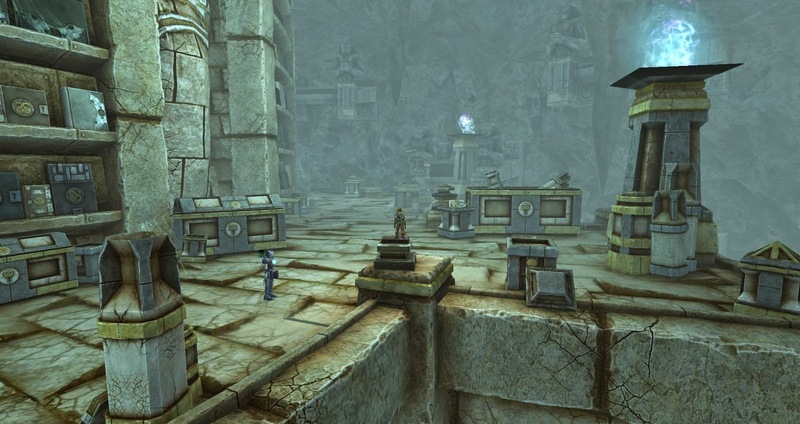 Assets from the discontinued project were rolled into the less ambitious, final Guild Wars expansion, Eye of the North. From then on the lion's share of development resources went into the new game. 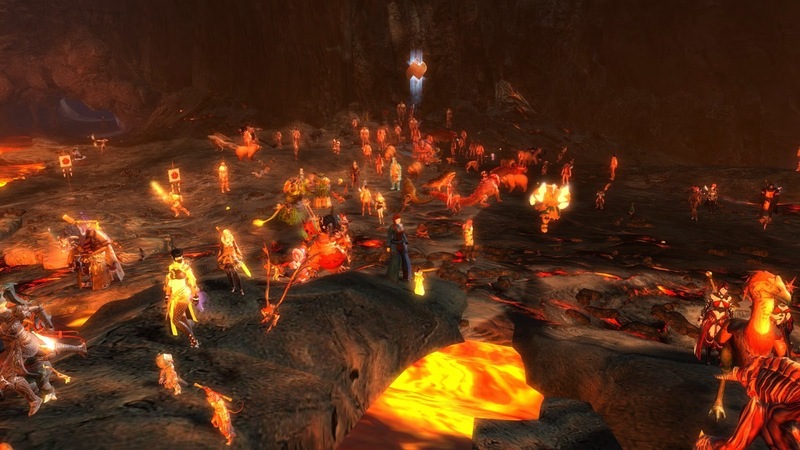 Guild Wars continued to receive live updates and new content right up until the launch of its successor, at which point it was put into maintenance mode and mothballed. That in itself must have given ANet and NCSoft some considerable data on how much money a B2P game that isn't producing new boxes can be expected to generate. In fact the change of emphasis pobably generated a lot more data than anyone expected. 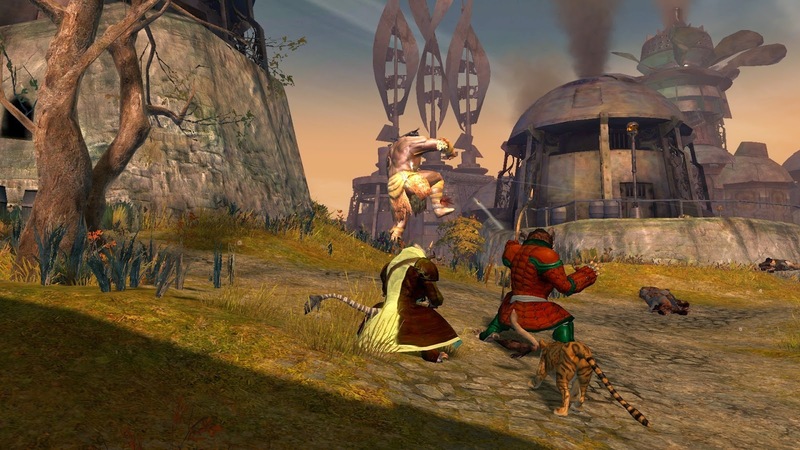 At the time the announcement was made in the spring of 2007 ANet estimated there'd be a GW2 beta in 2008 and a launch within two years. In the end the beta and launch both had to wait until 2012, twice as long as they'd optimistically anticipated. 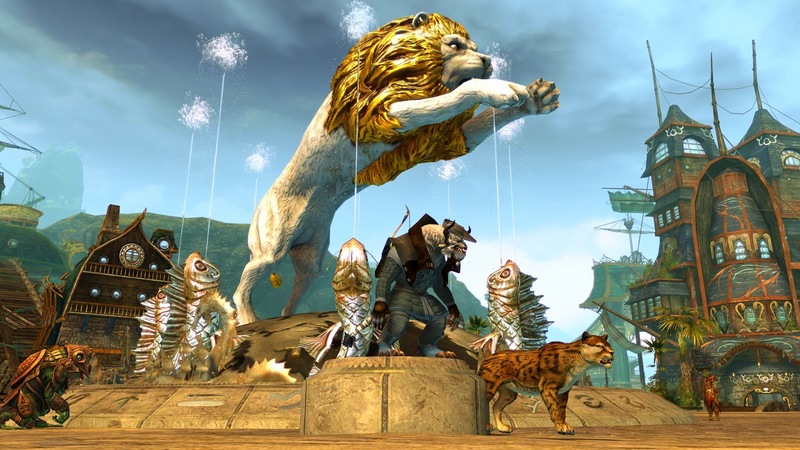 Whatever financial metrics were produced during the near five-year gap between the final boxed product for Guild Wars and the one and only GW2 box sale they were apparently encouraging enough to convince someone that a B2P MMO could survive and prosper without producing anything for people to buy. Except, of course, the fripperies of an in-game cash shop. It did always seem far-fetched. Guild Wars, after all, had more to rely on than just the one original box for those seven years. Chez Bhagpuss, we bought the original game just after release, played it, enjoyed it and moved on. When the buzz around GW2 led us to dip back into the original game again we could just have re-installed from our original discs but instead we both bought the collected edition with all the expansions. No doubt over the years many returning players re-invested in various combinations of single and combined packs and many new players worked their way through the sequence a box at a time. GW2, by comparison, has had nothing further to offer its 3.5m customers past that initial purchase. Under the circumstances the line on that chart seems to have held up passably well but clearly something had to change. Three years and a dozen characters later: he's still there and so am I. The Buy-to-Play model seems to me to be about the best of the bunch but it does, I re-iterate, rely on giving players plenty to buy. Pushing out one box and calling it job done is just not going to cut it no matter how many garish pantomime dame outfits your artists manage to churn out for the cash shop. The dirty little secret that no-one wants to admit is that people like buying things. Yesterday I spent about £15 of my substantial Amazon credit on a copy of The Elder scrolls Online. It's an MMO I didn't even care enough about to bother downloading at open beta because it uses a combat style I dislike and is set in a continuity for which I have little affection. Nevertheless, now I know the subscription is going away, a purchase seems not just reasonable but inevitable. Pasduil calls such behavior Buy To Not Play and he makes a very good point. 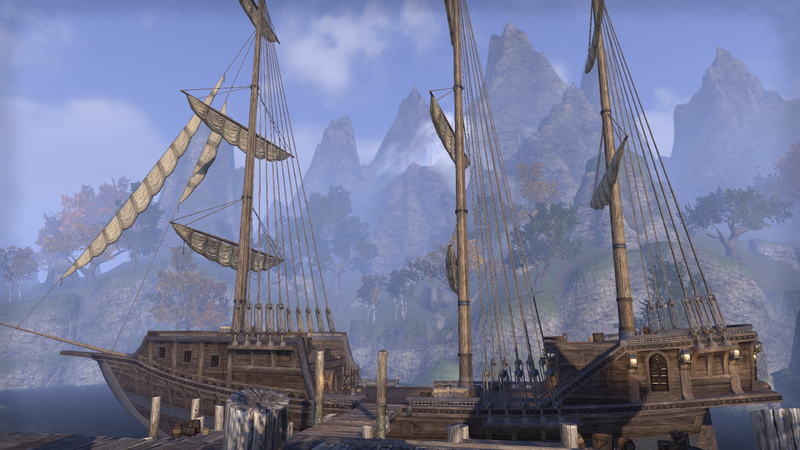 I do have no real intention of playing TESO . On the other hand the screenshots do look pretty so I'll probably have fun running around for a while, maybe get a few blog posts out of it so, what the heck, let's give it a shot. Why not?. In that fashion Zenimax have been able to get money from me they never would have had otherwise. Chances are it will be all they'll get but who knows? If the game gets a hook into me I could end up buying some of the DLC they've already confirmed will form part of their ongoing B2P offer. The B2P model opens up a door the subscription kept firmly closed. ArenaNet, on the other hand, will have had my custom for thousands of hours before they get another penny from me. They went with a B2P model that was all P and no B. I would willingly have paid them real money, either for DLC or new boxes, long ago but they have stubbornly declined to give me that option. Instead they've chosen to pump out free content of very dubious quality and cash shop offers of very negligible interest. Everyone loses. After fifteen years of first playing and paying and latterly playing and not paying for this wonderful hobby, y'know what, game developers? Why not let me give you money for content. That way just works. It really does. I liked that "Buy An Expansion Every Six to Twelve Months" thing you used to do. It was the best of all the myriad payment models you've tried. Why don't you go with it? What's more, now you aren't asking for a monthly subscription fee there's a passing chance I'll buy your new Expansion or Pack or Campaign or whatever the heck you're calling it even if I really don't have time to play your game! Stop giving away the product for nothing! Make something at least halfway decent on a timely schedule and then sell it to me - in a box or a download I really don't care. I'll snap your hand off. Enough with the all the faffing around. Take my money already! Now the lights have gone out at PAX South and the boomsticks have stopped their infernal clacking there's time aplenty to consider the future of Guild Wars 2. Heart of Thorns has no release date. It will, as they say, be ready when it's ready. We won't have to wait too long to get a first look: there will be a playable demo available for PAX East in early March. There's also going to be a beta phase prior to launch. In the meantime, though, it's a case of reading the runes. "The way that you earn mastery points is, I think, a very Guild Wars 2 way to earn mastery points: You do really really hard things that you on your account have never done before." As is all too common when I read or hear the words of the senior developers and designers of an MMO I have to wonder if they play the same game that I do. In the three years I've been playing, going back to the beginning of public beta, I cannot recall ever having felt that doing really hard things was the Guild Wars 2 way. Let alone really really hard things. If anything I would have said the exact opposite. Any dungeon that ends with my character running around naked is quite difficult enough, thank you. 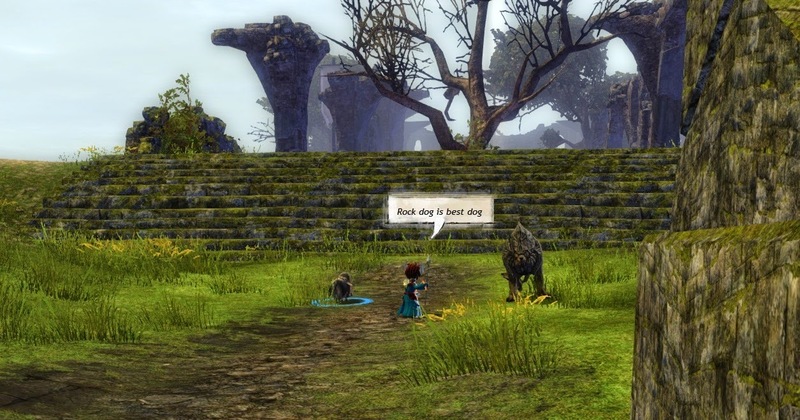 Yes, it's true that GW2 has, on occasion, contained the odd "really hard thing". Liadri the Concealing Darkness for example, but in general even the supposedly "hard" things, like the Molten Facility or Marionette were only "hard" when measured by the extremely soft yardstick of the rest of the game. The entire ethos of GW2 has always been about inclusiveness not elitism. That's why we can all revive each other when we fall over, why no-one has to compete for resource nodes and why, at least in theory, we are all always happy to see another player. So, I'm more than a little concerned about this new conceptualization of GW2 as a "really hard" game. Concerned but not surprised. This change of direction has been creeping up on us for quite a while. Perhaps the first clear indicator that the wind had shifted came with the introduction of the new mechanics for Living Story Season 2. The first season had been open to everyone. 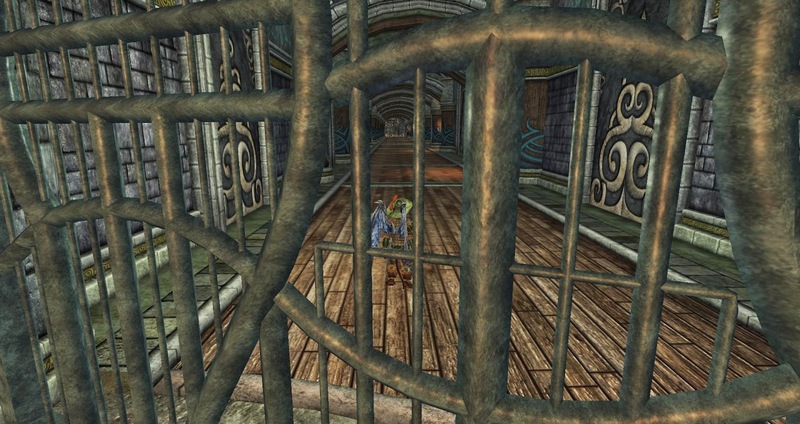 By and large the instances and dungeons scaled to level or your character would be bootstrapped up as necessary. Great care was taken to spread open world events across a range of maps so all levels could join in. Come the second season and everything changed. If you didn't have a max level character you could forget it. 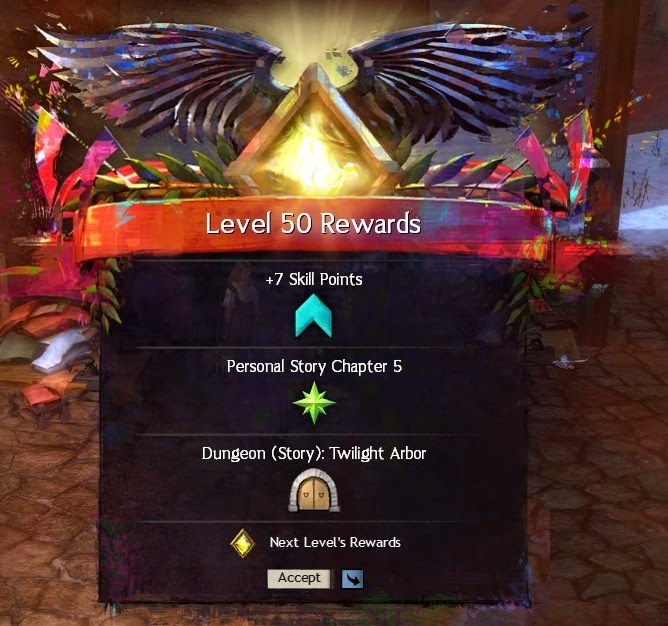 The story chapters are hard-coded to require a Level 80. 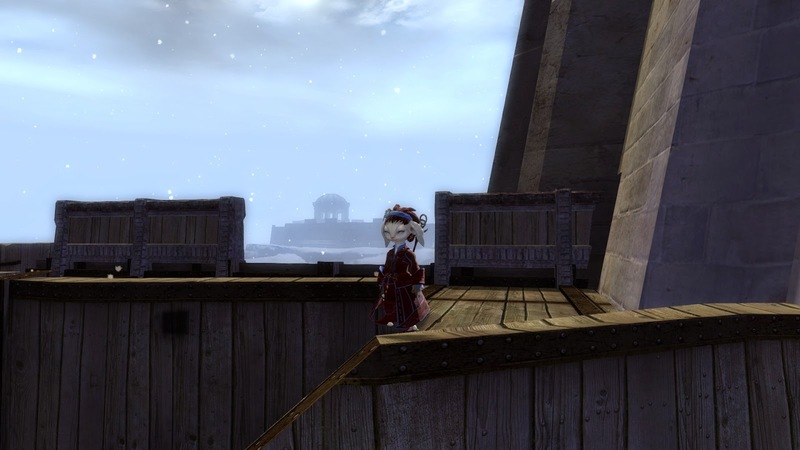 Our guildmate, who only plays on Sunday mornings, not every Sunday and never for more than a couple of hours, has nonetheless been been playing regularly for nearly two years. He has only one character: a Guardian now in the mid-50s. He used to be able to join us for Living Story runs. Not any more. Players with his casual playstyle are no longer welcome. At the same time the old, easy, inclusive Living World achievement system was ripped out and replaced with something overtly aimed at the elitist's club. Rather than a series of simple, relaxing tasks that would largely fill themselves out as you completed each bi-weekly episode anyone wanting those Achievement Points is now required to replay instanced content in odd, artificial ways in order to hit specified markers of difficulty. Even before that, though, there were straws in the wind. The changes to the Trait system that came in the first Feature Pack back in Spring 2014, almost universally reviled, contained a plethora of level- or playstyle-inappropriate requirements. To many people playing the game these seemed to have been chosen in order to exclude anyone below a certain level from obtaining them and, while there was some revision under protest, I can attest from my recent leveling run that most still remain. At least with the Trait system you can buy your way out of hours of wasted time or "must be this tall to ride" roadblocks. Ten silver or Blazeridge Steppes map completion? It's your choice. I fear the new Mastery System will come with no such get-out clause. Ah well, maybe this is all pre-expansion paranoia. With so little in the way of firm details its easy to let either your wish-fulfillment fantasies or your tinfoil hat fears run away with you. And there's a part of that quote above that makes me question just what it is they have up their sleeves: "things that you on your account have never done before". Tie that in with the assertion that "ArenaNet is being careful to include mastery points all over the current Guild Wars 2 landmass" and you have to wonder. There will be plenty of players for whom there remains pretty much nothing in the existing maps that they haven't already done. Presuming the intent is not to bar such over-achievers from access to the Mastery system as it may exist outside of Heart of Thorns then O'Brien's claim that ""We're going to keep evolving the world, and we intentionally picked a strategy where it's not leaving behind a wasteland"" becomes pregnant with potential. But then, aren't they all? And there we have it. I was playing GW2 throughout and FA decided to hit HIlls with an Omega right as the first video began to roll so I may have missed some of the finer points. I made some notes about half an hour after Colin Johanson had left the stage. Couldn't do it any sooner because I had to help take Stonemist Castle so, again, I may have forgotten a bullet point or two. Never mind. I'm sure we'll be hearing it all again. And again. And again. The whole thing started, a few minutes late with a seemingly interminable warm-up during which Jennifer Hale, who voices Queen Jennah, did a sterling job getting the audience all hyped up. She was quite hyper herself and I had to turn the sound off pretty quickly. That got a great response. Then Mike got out his giant wet blanket. He listed all the things we weren't going to get, like a level cap increase, new gear, any kind of meaningful progression or a release date. He placed enormous emphasis on how "challenging" the new maps would be and how group-focused the expansion is. Every time he invited the audience in the room to endorse a point he got a feeble and lackluster response. Shots of the room showed a lot of people sitting on their hands looking glum. It seemed evident to me that, at least at PaxSouth, few shared his disdain for the established MMO systems GW2 supposedly eschews. They seemed to be wistfully imagining what it would be like if GW2 had them too. It felt as if a lot of the room would have liked to yell "Yes please!" every time Mike asked them whether they wanted something he'd just told them they weren't going to get. Mike didn't hang around. He introduced Colin Johanson, who came on and made a pretty good fist of repairing the damage. He had some videos to show us too but more importantly he had lots of explanatory detail that focused on what we are going to get not what we aren't. Weirdly, the first thing I remember hearing him mention was hang gliders. Language System for the new NPC races in Maguuma. Precursors for Legendaries - available through the collection system. New Class - Revenant. Rytlock is one. Channels abilities from famous GW1 NPCs. Access to previously unusable weapons for existing classes via sub-classes e.g. Greatsword for Necro, Staff for Ranger. 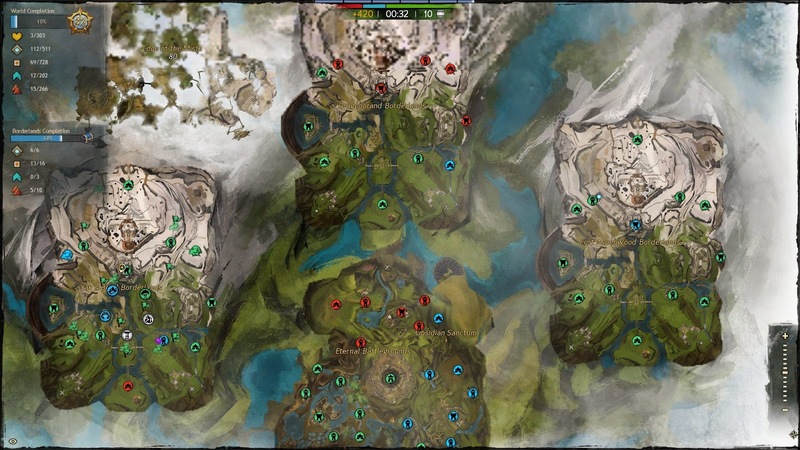 New WvW Map with structures that give buffs across all WvW maps. Greater incentives to hold and defend structures. Of all those things the one that got by far the loudest, longest and most enthusiastic response was Guild Halls. On balance it's more than I expected if less than I hoped for. 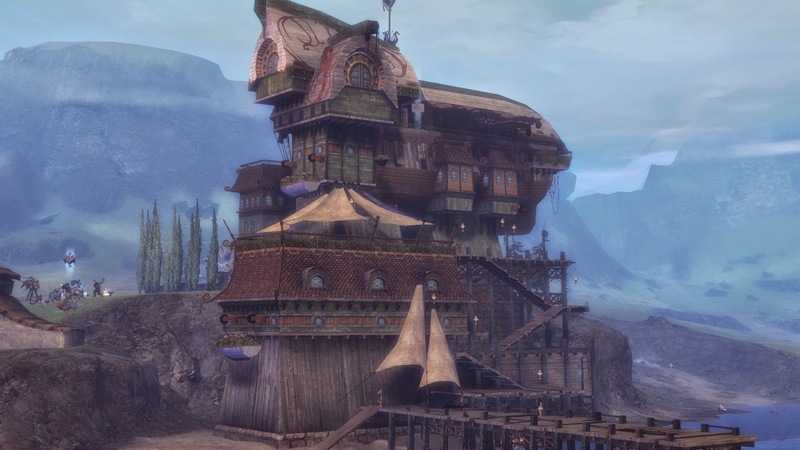 No new race, too much focus on "end game" difficulty, no real housing but an interesting new progression that sounds like EQ2's AAs, a new class and some really gorgeous new maps to explore. 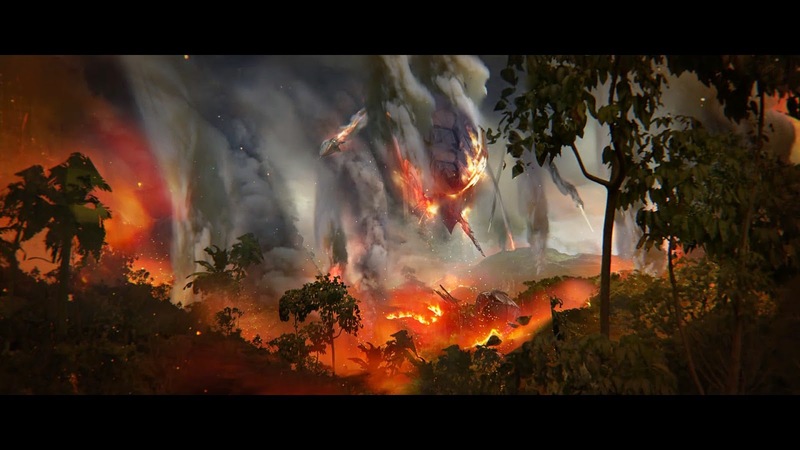 The language system sounds particularly intriguing and the changes to WvW are not only a lot more than I was expecting but sound as though they could move that part of the game in exactly the direction I'd like to see it go. We'll be chewing this over for months so for now I'll leave it at that but my overall takeaway is relief: it certainly could have been a lot worse. ArenaNet probably imagine all GW2 players had their attention this week focused on the building hype for their big announcement this morning but from where I'm sitting that's been little more than a sideshow. 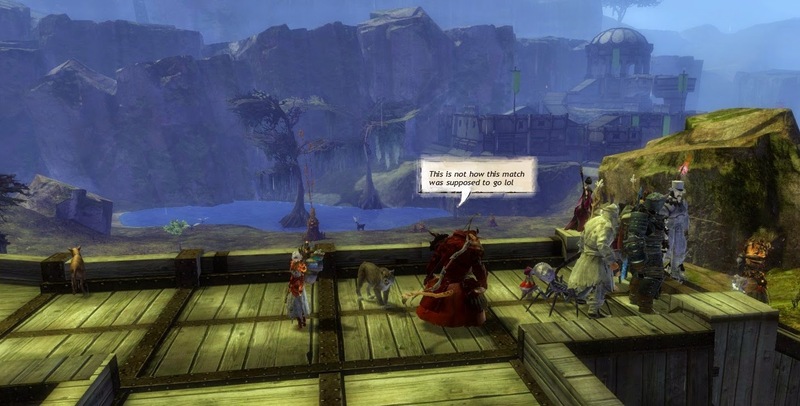 In fact most of GW2 itself has become an afterthought. The Living Story and speculation around an expansion may have provided more fuel for blog posts but what I'm actually doing in GW2 around 75% of the time is fighting for the Honor of the Yak. (The other 25% is dailies and sorting my bags). As anyone who's been following the ins and outs of World vs World, GW2's badly-designed, largely-neglected, three-team medieval combat simulator, over the last couple of years probably knows, the phrase "Honor of the Yak" comes steeped in irony. Yak's Bend is quite possibly the most reviled server in the North American league these days. Without question that crown used to belong to Maguuma, who wore it with pride but, since the mass defections that saw them slip from Tier 1 contenders to the lower reaches of the table, it seems to have passed to us. The reasons are opaque but as far as I can divine from the entrails of our frequent and repeated guttings we are a bunch of smug, self-satisfied PPT-obsessed Tier One-wannabe tryhards, who rely on siege to do our fighting for us because none of us can or will fight on open ground. If you're going to roam as a staff ele you need all the help you can get. What's more, by bringing our dour, dire, dull gameplay into Tier 2 we've crashed a party to which we were never and would never have been invited, spoiling it for everyone who was already there having a great time. Plus we have given sanctuary to a bunch of arrogant scrubs who'd already made a ton of enemies before they came to us, so we deserve nothing better than they would have got . There are three servers in Tier 1 with whom our playstyle would, supposedly, jibe reasonably well. As far as I can tell none of them actively hate us and some players there might even welcome us if only as a change of scenery. There are, however, only three places in T1 and clearly no-one there wants to leave just to make room for us. Anyway, allegedly, all three T1 teams indulge in match-fixing practices designed to make sure T1 remains an exclusive club, so that's not happening, no way, no how. There are three servers, other than us, who would like to be in T2 so they can have "good fights" and enjoy the Guild Vs Guild Valhalla T2 used to be until Maguuma went all emo on them and skulked off to hide in a corner, thereby letting YB in to mess everything up for everyone. There are two servers stuck in a living hell in T3. Week after week whichever of the four proto-T2 servers drops down kicks the everlovin' crap out of both of them, 24/7, trying to generate sufficient lift to bounce back up. Everyone feels bad about it but goes on kicking all the same because to show the slightest mercy means risking a longer stretch in T3 and a chance of being the ones getting that kicking in the future. Due to the inflexible and glacially slow way the glicko scoring mechanism operates it takes a huge amount of effort and energy to effect even a small change in this unhappy status quo. To add the cherry on top, every so often an ANet dev opens the doors to hell, peers into the darkness, calls out "Here! Have a cookie", then throws in a rule change or a Season and slams the door. Everyone forgets what they were doing, scrabbles blindly for the cookie, and any progress towards stability that might have been made is lost. Well, it is pantomime season. After a relatively moderate introduction to T2 last autumn leading to a period of increasing discontent that culminated in the Great Christmas Tryhard Campaign of 2014 (seriously, do these YB nerds have no lives or what?) there is now a full-blown, well-organized, coherent and sustained push by the whichever two of the other three servers find themselves in T2 with Yak's Bend each week to get us the hell out. The plan, as divulged to Mrs Bhagpuss in one of her frequent conversations across enemy lines, is to double-team us until we shatter and fragment like all the other bandwagon servers have. Except when it suits Dragonbrand to change sides of course. It's all getting rather ugly. So fed up with our Lemongrass Poultry Soup-eating, superior arrow cart placing, keep-hugging ways are our opponents that all the gloves are coming off. Anything goes if gets these jumped-up YB jerks back where they belong - the scrub leagues. 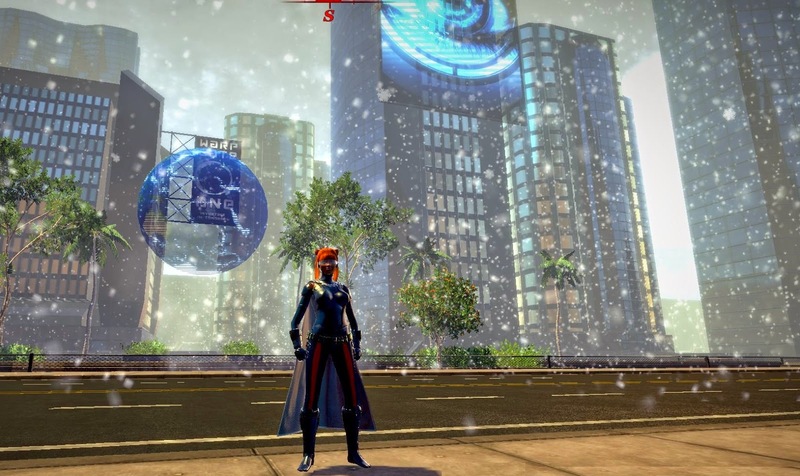 Considering ANet appear to do virtually nothing to police behavior in WvW and, especially, that they've been leaving gaping holes wide open for exploits for years, it's perhaps surprising that most matches don't already degenerate into a seething melange of siege trolls, zoom hackers, spies and saboteurs. By and large, though, players have policed themselves reasonably well. Not any more. In fact there was a commander. I was still in someone's squad from an hour ago and couldn't see his tag. The last couple of matches have seen an appalling rate of cheating and poor sportsmanship. 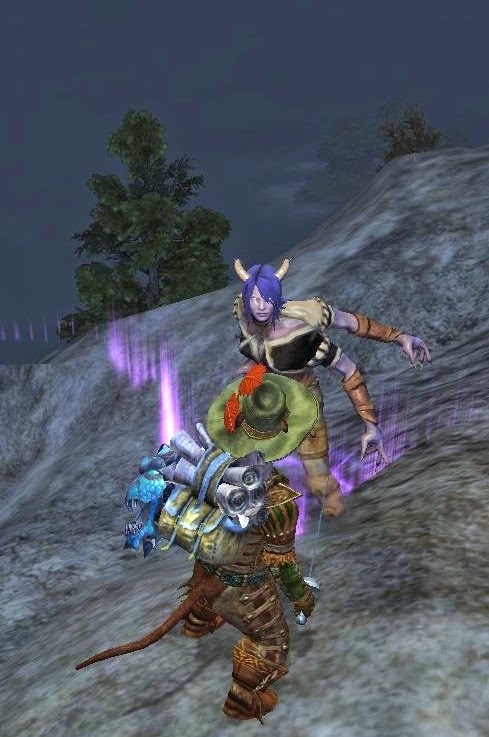 Steam is coming out of Mrs Bhagpuss's ears (quite impressive when she's playing an Asura). Most people who express an opinion in Team and Map chat are fuming mad too although our senior commanders largely try to rise above it all. It doesn't press my buttons in the same way but I would certainly rather not have to contend with people making characters on alt accounts just to badmouth all-comers in open chat while building twenty flame rams in a blind corner or taking all our omegas for a short walk over a steep cliff. 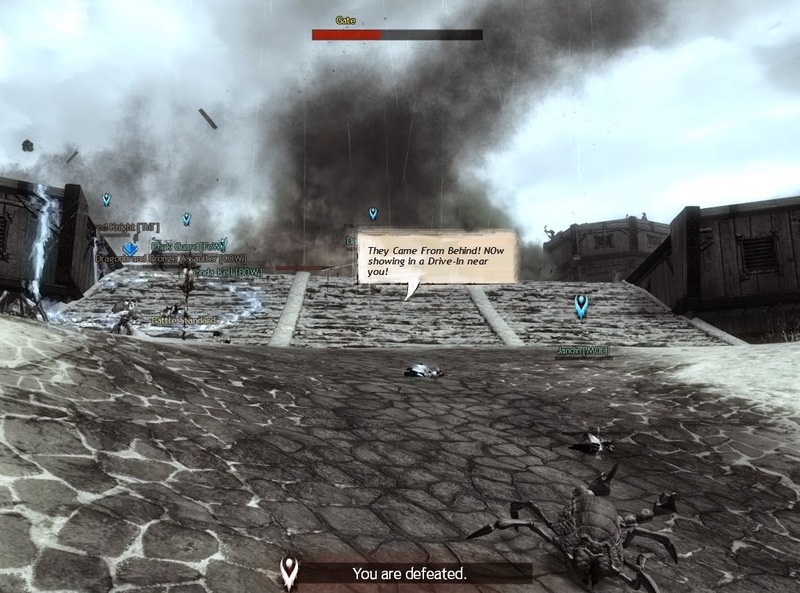 It may be surprising, then, to hear that last night was one of the best nights I've had in WvW since launch. Even more surprising if you look at the scores to see that YB finished third, 41k points behind Dragonbrand in second and 72k behind the overall winners, Fort Aspenwood. Ah, but what a third place it was! A nail-biting finish that we won while apparently losing by a country mile. It's all down to the underlying base of WvW, the glicko system, which determines movement up and down the table. On that reckoning it was uncertain until the very last tick of the match whether Sea of Sorrows, who fell to T3 the week before, would replace us in T2 or whether we would hang on to sixth place by the merest sliver. By midweek SoS had better than a ten point lead but throughout the last couple of days, while being constantly and determinedly hit by Dragonbrand, both in concert and separately, we began to pull that lead back. We were aided by an inexplicable faltering of SoS's steamroller progress in T3 as Northern Shiverpeaks appeared to rally. There was a chance and we were determined to take it. For the first time in months I stayed up until reset, which currently comes at 1am for us. Mrs Bhagpuss stayed up too even though she had to be up for work early on Saturday morning. It was just too thrilling to leave and go to bed. For a given value of thrilling, admittedly. There were no gung ho 20 golem rushes on fortified keeps or huge hour-long battles over Stonemist Castle. Instead, all four maps had teams running PPT (points per tick) on a much more organized level than I'm used to seeing. Timers were being watched, every individual camp counted, people were playing smart. Just to give one example of the unusual discipline that was in force, at one point I was in a small zerg of 15-20 people that breached North East Tower on one of the enemy borders. We killed the lord and let the ring that indicates a successful capture get to 90% then everyone stepped back. Most of the zerg left to take another objective, while I and a few others waited at the edge of the ring for over three minutes before moving back across the line to fill the final 10% and cap the tower. The new Lord spawned with his five-minute Righteous Indignation buff that makes him unkillable at exactly five minutes before the tick.That's how you're supposed to do it. Tower secure for the points, no need to guard it, move on and take something else. From our PPT reputation I guess that's how people think we usually roll: it isn't but it's good to see we can when we need to. All night the scores were so tight that literally every point was vital. With Bloodlust up stomps were mandatory. There were chewings-out for anyone rash enough to burn too fast on a downed foe. Bit tricky, that one, for a full-zerk fire attuned Elementalist, which happened to be what I was playing, but I did my best. When I'd gotten home from work and logged in we were just under 2 points behind SoS on glicko. As each fifteen-minute tick rolled around I tabbed across to the invaluable Millennium real-time scoreboard to see the impact and for the last 90 minutes relayed it in game. I wasn't the only one. By just after half past midnight the defecit had been whittled away, in increments of 0.1 to 0.15% per tick, until we stood less than a tenth of a percent short of overhauling them. A famous victory! We came third better than they came first. Or something. Whatever! It was wonderful! Why didn't the map look like this the rest of the week, eh? And now, of course, we have to do it all again. Another week of cheating, hacking and name-calling. And, with the sense of ironic humor for which autonomic systems are so rightly celebrated, ANet's wild-card generator has decided to push Sea of Sorrows up to T2 for a week anyway and drop Dragonbrand to T3 instead! Where we go from here, who knows? The "victory" was fabulous but frankly I'd be entirely happy to drop to T3 or even T4. That way we might boil off most of the johnny-come-lately server-hoppers who came to us when we were the unexpected dominators of T2 back in the post-Season, before Seas of Sorrows and, especially, Fort Aspenwood decided we were An Abomination. Maybe we could even get back to the 5-6 server equilibrium of last spring's T3-T4. I'd like that. 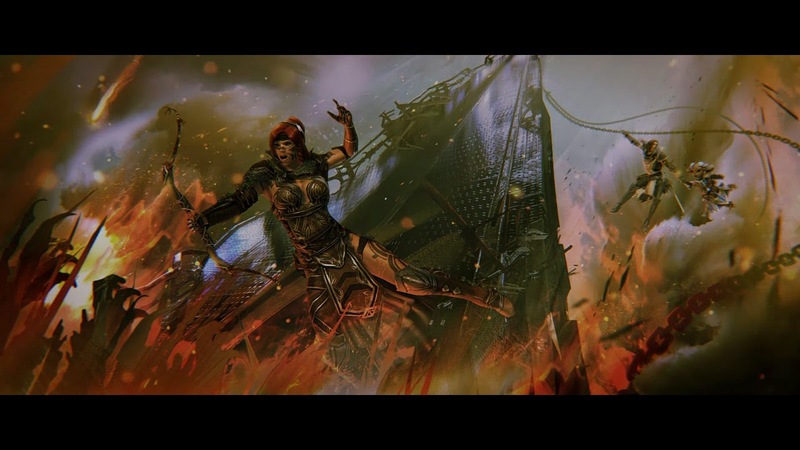 Or maybe ANet's big reveal in a few hours will contain a line or two about the future of WvW (don't laugh - it could happen!). Something that might make all of this seem like ancient history in a few short months; which, of course, it will anyway. Whatever happens, chances are I'll be up in those borderlands, whichever they are, fighting alongside my fellow Yaks, whoever they are, against our terrible foes, whoever they are, all for... whatever it is we're fighting for. Because whatever else changes one thing remains the same: The Honor of the Yak. Always the Honor of the Yak. Guild Wars 2 goes on sale at 75% off this coming Saturday and Sunday. The exact time that the sale begins and ends are at the end of the official announcement and you only get the discount if you buy directly from the guildwars2.com website. It's a very tempting deal. Too tempting, I think, for me to resist. I've pondered buying a third account each time they've had a half-price sale but I've been able to talk myself out of it. I really don't need a third account; to the contrary, of late I've been attempting to consolidate new characters onto just one of the two I already own. There are clear and present dangers in taking advantage of this offer. God forbid I should end up doing three sets of dailies! On the other hand the advantages are manifest. It's far and away the cheapest means to gain extra storage for a start. Bags are cheap - it's bag slots that cost. This way you get twenty-five extra bag slots for the cost of about two and a half. If you only have one account it also gives you the option to mail stuff to yourself, something I've found immensely handy over the life of the game. It also allows me to do something I've wanted to do for a while: try out the New Player Experience with the full restrictions in place. Although of course twinking is still possible. There's also the tempting possibility of rolling characters on other servers to see what WvW is like from a non-Yak's Bend perspective. That does feel oddly like cheating even though I would be making characters only in Tiers where YB doesn't and isn't imminently likely to play - T1 and T5 downwards. Even if I end up not using the account for much more than storage, a bit of futzing around or the odd Special Project, it's bound to be worth the minimal entrance fee. Although it might not seem such a bargain when I'm shelling out for the three Expansion Packs come September. Just five days to the Big Reveal and considering the build-up it had better be good! Could it be that we're all reading too much into the whole event? Just because ANet have been trailing and promoting Mike O'Brien and Colin Johansen's upcoming Pax South double act since the turn of the year doesn't necessarily mean the pair have anything earth-shattering to tell us, does it? You certainly wouldn't think so from the official announcement: "Join us in person at the show or watch the livestream for a sneak peek at what’s next for the game." Not exactly giving it the hard sell, are they? That could be nothing more than a puff piece for the next Living Story arc and notification of a few tweaks to systems and processes, like the upcoming balance changes. Nah, that wouldn't get its own Twitch stream, would it? Although, having watched a few of the Landmark and EQNext streams, it's surprising just how much fuss some MMO companies can make over not very much at all. Or, indeed, anything. This one, though, is going to be very special. It says so right there on the promo page - "a very special Guild Wars 2 PAX South presentation". And there's the whole trademark and trailer thing going on with Heart of Thorns. Surely no game company pays for trademarks and makes trailers without a product launch coming along behind? Forget the dragons. Let's get back to the important stuff. In just five days we'll all know, which leaves a very small window of opportunity for wild speculation; everyone and their dolyak is getting in on the act already. Wooden Potatoes has three-quarters of an hour's worth of close textual analysis. Deany Kong is more succinct. I tend to go with Deany. An expansion, then, or something so close to an expansion as to be indistinguishable, even though it may go under some less controversial name. But what's going to be in it? Oh, dragons, jungles, fighting and all like that. And will we have to pay for it? Yes, and with proper money, too, none of your gold or Gems. There; those are my predictions. Beyond that I don't care to speculate. I will, however, expand a little on what I'd like to find inside Heart of Thorns. It's a much more interesting topic anyway and one you might have expected to garner more than 111 responses on the official forums by now, given the three million plus boxes sold. Maybe everyone's on Reddit. At least one new playable race. My first choice would be Skritt, with Dredge as runners-up, but I'd take any of the existing races, so long as it doesn't have feathers. A new race altogether might be even better. At least one new class. Profession. Whatever. The elder Guild Wars has ten professions, only half of which made it into GW2, so there's plenty left in the tank. I'd go for Monk. Let's not have the one that uses a scythe, though; I never thought that was a good look. More World Bosses. People like World Bosses. Or is it loot? One of the two. Plenty of brand new Overland maps, all of comparable size to those that we got at launch. Mini-maps like Dry Top and Silverwastes won't cut it. Not all jungle either. Let's have some variety. An underwater map would be nice - GW2 has the best underwater mechanics of any MMO I've played - might as well show them off. How many maps? As many as you've got! Anything less than half a dozen would be a severe let-down. It'd be nice to get at least ten. And speaking of ten - ten more levels! Yes, I like leveling. No expansion feels entirely "real" to me if it doesn't come with a new level cap. We'll have another 100 tradeskill points, too, please. While we're on the subject, let's go for a full revamp of crafting. It's really all over the place now. Messy, unintuitive, grindy and quite dull. Sort that out if you'd be so kind. Remind me, which century are we in, again? Lots and lots of new stuff: weapons, armor, pets, minis, you name it, I want it. I like stuff. And I don't mean in the Gem Store, either, although some purchase-worthy items there would be a welcome innovation, now I come to think about it. At least half a dozen new World Bosses. I love doing WBs. Let's put some more carriages on that train. New combat mechanics. Not the full trinity but something that gives more agency to the player and allows for more specific roles. Swiss army knives are great but you wouldn't want to prepare and eat an entire meal with one every day. A complete and full revision of WvW. New maps, much more reactive and responsive matchmaking, better-defined objectives across a wider variety of timescales. Not - repeat not - anything remotely like the disastrous Edge of the Mists experiment. And I didn't even mention housing. I'd trade all ten of those bullet points for the kind of housing option the game deserves. Who would live in a house like this? Me! I bloody would! Me! Let me have it! Will we get all of the above? Like heck we will. Be lucky to get half. Very lucky. Honestly, if 2015 ticks three of those ten boxes I'll call it a good year. Whatever's in the Heart of Thorns box (and wouldn't it be great if there really was a box?) it needs to be at least as much. That's a bare minimum. Anything less wouldn't qualify as an expansion in my book. A good expansion should add three to six months content for the averagely-committed player. If it launches in September the bubble shouldn't float to the top before Christmas. Enough speculation. Roll on Saturday. I'm not working so I'll be watching the Twitch stream. I just hope they do actually have some hard facts to announce. Even if it's not what I want to hear I'd rather hear something of substance than come out the far side wondering what all the fuss was about. Living Story Episode 8 "The Point of No Return" dropped yesterday. In keeping with tradition I will begin by observing that, once again, it's short. It took me maybe a couple of hours and that was speaking to everyone, poking my nose into everything and making quite unnecessarily heavy weather of the final fight..
Short does not mean bad though. It may not have taken long to play through but I thought this was one of the best LS episodes so far. It had well-balanced and engaging gameplay throughout, there were some good exchanges of dialog here and there and the voice acting was solid. The atmosphere was palpable and also varied, from the spooky beginning through the urgency of the Silverwaste battles to the elegiac despair of the final sequences. The format is very familiar. We begin with another visit to Durmand Priory and a further consultation with Ogden. There's another book hunt among the stacks and another ritual to complete during which some fighting ensues. 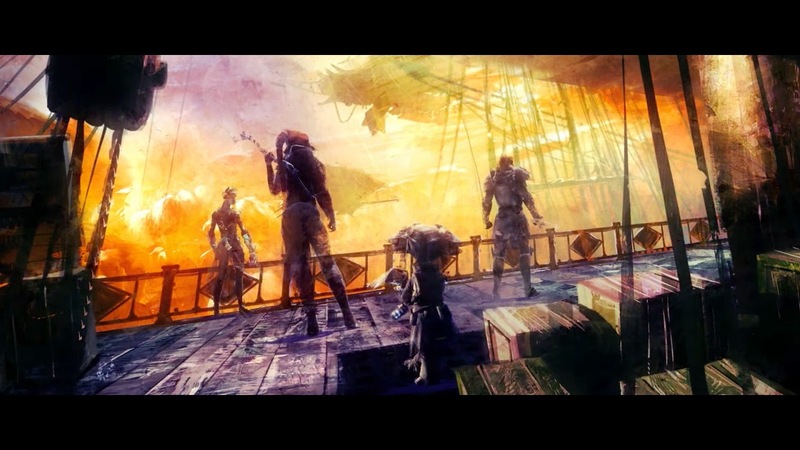 Then it's back to the pact camp in The Silverwastes to consult with Logan and the rest of Destiny's Edge. A number of forum posters and Redditers read a lot into the exchange between Eir and Braham before everything goes to code red as the mordrem attack. My irony meter is very finely calibrated, to the point where it tends to give false positives for Ironic Foreshadowing better than 50% of the time, and yet I took Eir's promise to go hunting with her son in the Shiverpeaks when it was all over at face value. I feel a bit of a mug now. Once the camp has been secured a scurry through the skritt tunnels to the Far Shiverwastes sees us back at that sealed door in the cliff. Only this time we have the key in the form of a king-sized matchstick. Behind the door lies a very dark tunnel leading to a very light cave. This sequence I found particularly impressive. The moving pool of light cast by the torch is convincing and atmospheric and the vista-like reveal of the glowing cave works very effectively to create the intended sense of awe. Once the scenery has been duly admired it's time to find a spot to plant the last of Caithe's memory seeds. As we play the hot/cold game to find the right location we pass an interactive bush. Naturally I interacted and the information learned from doing so plays directly into the upcoming cut scene with Caithe, Wynne and Faolain. I found that a very effective use of the narrative tools available and it certainly helped me understand Wynn's urgent desire to have Caithe kill her before Faolain can get to work. The cut scene confirms the suspicions many, myself included, have been nursing since even before the game began: the Sylvari are tainted. Now we know how and by whom. I'm more glad than ever that I didn't create my new elementalist as a walking plant. I played an Iksar in Everquest when Kunark launched. I know what it feels like to play a character that every NPC in the world would like to kill. It's a hard road. The episode concludes with a boss fight: Mordremoth's lieutenant again from the fight that nearly killed The Pale Tree. Compared to just about all the previous LS boss fights this one is very straightforward although I managed to make it ten times harder by missing one simple mechanic. It was only after I'd died about six times that a quick visit to the forums told me what I should have noticed for myself - the nasty, invulnerable shadow critters that kept putting out the fires can be killed with a simple application of Divine Light. With that figured out the rest of the fight passed without difficulty. Dead dragonnette. High fives all round. The end. Only it's not. At this point we are treated, and I mean that quite literally, to not one but two cinematics. Both are absorbing, thrilling and disturbing. Also spectacular. There's a great deal going on but the main themes appear to be the failure of The Pact's aerial assault on Mordremoth and the complete destruction of the airship armada, the turning of the Sylvari to dragon minions and the death of all the members of Destiny's Edge except Rytlock. Oh, and we're getting an expansion and it's called Heart of Thorns. It's a lot to take in. Luckily Vigil Warmaster Wylliam at Camp Resolve replays the video. Which is unsettling because he also gives the welcome new recruits speech all about preparing for the days ahead. In fact the whole of Camp Resolve seems to be locked in a timewarp, still hard at work building the airships we just watched crashing in flames. I'm no fan of phasing but this really is a hefty jolt for the old suspension of disbelief to soften. Still, that's a minor cavil. Overall this was an excellent conclusion to Living Story 2. In addition to the advancement of the plot and the visual feast I felt the combat was much better balanced for the expected audience. For the most part we get to fight as our own characters, using our regular abilities on regular mobs, which is exactly how it should be. There are very few new mechanics to learn and those there are are very straightforward. The final boss fight is blessedly short with just two phases rather than the usual three to six. There are still enough loose threads to darn a dozen socks of course. Caithe skips off with Glint's egg yet again. Mr E doesn't get a mention. Taimi doesn't even make an appearance. 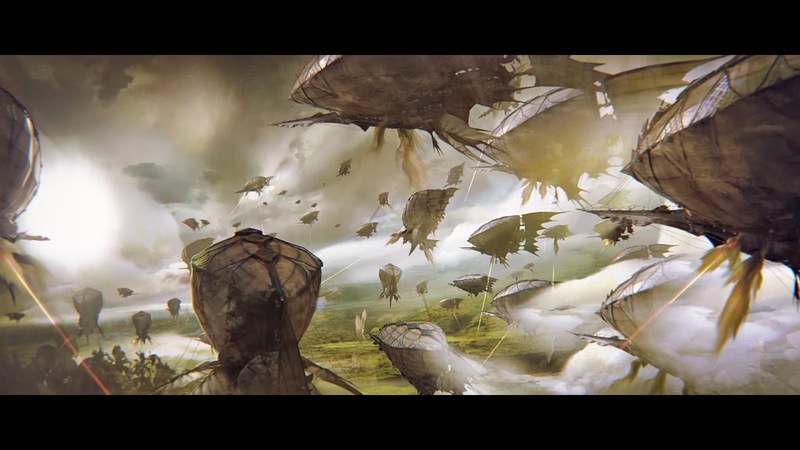 The two cinematics seem to contradict each other over what happens to Destiny's Edge (and if they are really all dead I will believe it only when we find their corpses while exploring the Maguuma jungle - and probably not even then). Where we go from here will be very interesting to see. There seems to be some confusion over whether or not this is the final episode of Living Story 2. I would anticipate some kind of coda or epilogue in two weeks time, right after the Big Announcement on the 24th. Whether there's a third season of the Living Story is uncertain. I'd bet against it. One thing at least does seem beyond question: ArenaNet have succeeded in getting our attention once again. "Not much chance of me going a hundred hours without making a new character somewhere"
Ah, how well I know me! As it happened it was less than a hundred minutes after I wrote the above that I found myself closing the character creation screen in GW2 for the twelfth time. The blank space in the line-up is filled. There's a new Asura in town. I did think about other races. 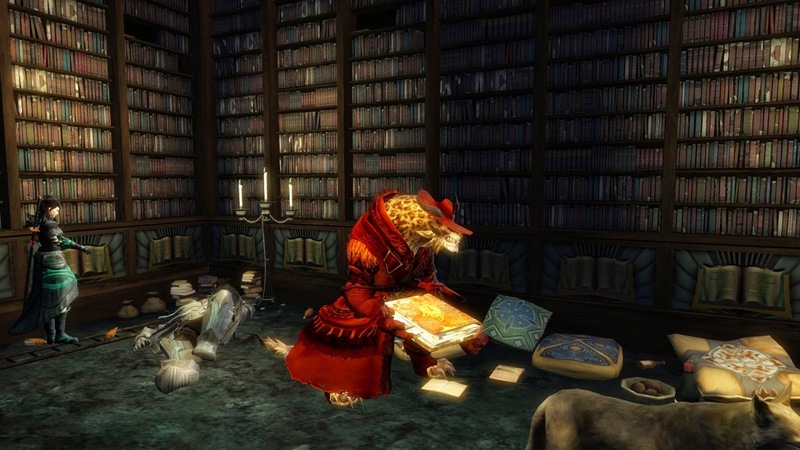 Charr, obviously; somehow, though, I have difficulty seeing the Charr as spellcasters. I think that has something to do with the Flame Legion and their seemingly infinite supply of "shamans"; most of whom actually seem to be elementalists stuck in Fire Attunement. I'd hate to get mistaken for one of them. So, no Charr. Since the whole point of buying the new character slot was to get an Elementalist onto the nominated WvW account, Charr was out. Norn I also dismissed immediately. It's probably my least-favorite race to begin with and anyway the other Ele is a Norn. I'm substituting her not cloning her. I considered Sylvari. I do have a mild desire to add a female Sylvari to the roster sometime. 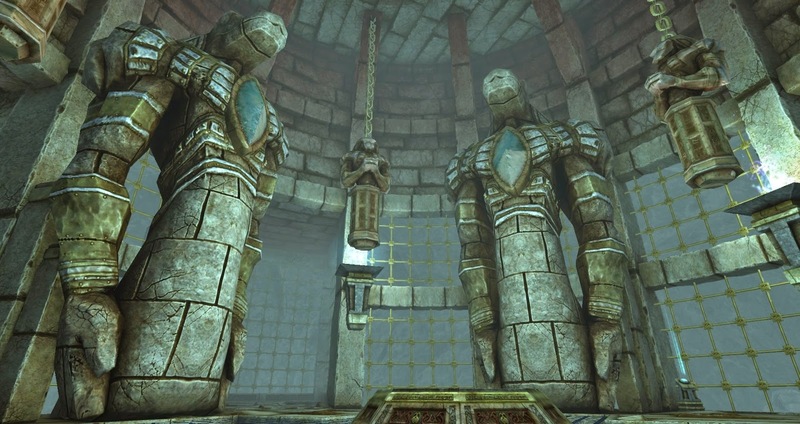 Mrs Bhagpuss has demonstrated, repeatedly, and with much variety, just how distinctive and elegant Sylvari can be made to appear, something you would never know from looking at the one example of the race on my roster, a stick-thin male Guardian whose dull green armor seems to grow on him like mouldy bark. It would be nice to have one distinguished-looking character among the gallery of clowns, nuns and ne'er-do-wells that stare out at me every time I log in. The question is: is this really a good time to bring another Sylvari into the world? What with Scarlet's shenanigans, The Pale Tree in a coma, Caithe running off with the egg and that sociopath Canach curdling beside the least-trustworthy aristocrat in Tyria (a position for which there is much competition, let it be said...), well, the entire race has to be seen as suspect both from the perspective of players and Tyrians alike. After all, when your best option for a role model is Trahearne you know you're in trouble. 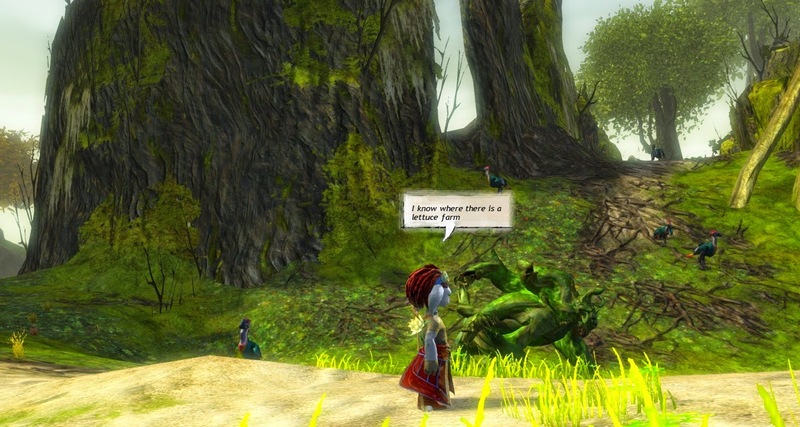 So no, not a good time for Sylvari. That leaves Human or Asura. The entire game has clearly been optimized around the human model so they have that going for them when it comes to looks but really, humans are quite dull. I play one in real life (not very well) so it's not much of a come-on to log in and play one in virtuality. Lack of self-confidence is unknown in Asuran society. 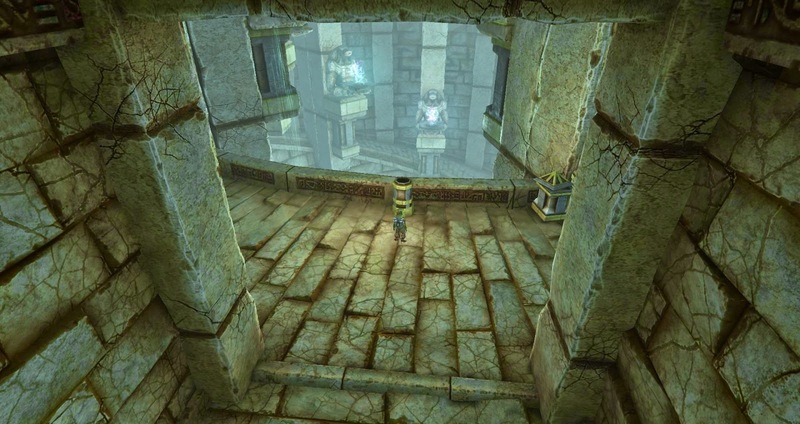 All of which half-hearted option-pondering brought me back to exactly where I knew I'd end up: Asura. They're just so...uplifting. Your spirits rise as soon as you see one. Well, mine do. And there's really nothing to match the sight of half a dozen Asuras boiling off the waypoint in answer to a map call to Bay, bouncing across the dock and into the water like so many snaggle-toothed superballs. If I'm going to be playing this fresh Elementalist in WvW I want to be a part of that. The requisite nose-shortening and ear-pinning undertaken, Colleges chosen and projects selected (hoping this time I didn't yet again pick a combination that leads to the same "Personal Story " I got the last three times), it came time, finally, to step into Tyria. The intro/tutorial hasn't gotten any better over the years but it has at least gotten shorter or I've learned to skip. In a matter of minutes the little firebug was standing at the craft stations in Yak's Bend's Citadel going through the bank for xp scrolls. I would like to level up a character through the new New Player Experience to see just how good, bad or indifferent it feels but that's going to have to wait. This here is an Elementalist in in a hurry. Just show me the fast lane to 80. In the bank were several Experience Scrolls, the ones that jump you straight to Level 20. She read one of those first. Then she found a stack of thirty Tomes of Knowledge, which give one level each. She read through the lot. Fast readers, Asura. That took her to level 50. In theory that should have been that: "Level 50 in Less Than A Minute" but that would be too easy. No, first we have the aforementioned New Player Experience to contend with. Just because you skipped the actual leveling process don't think you get to skip the fifty level "How To" guide. Every single level comes with a prize. There's a little diamond in the lower right corner of the screen to click and clicking it opens a big "Look What You Won! You Clever Old Thing You!" reward window. There's no avoiding it - you're going to be complimented and backslapped for doing absolutely nothing, over and over again. It was fun. A bit like watching a home-movie on fast-forward or your life flashing before your eyes as you drown. One of those. Most of the stuff was either useless to begin with or instantly outgrown as the levels chugged on but towards the end there were some decent items. Anyone who's played GW2 will recognize that a Rare quality Aquabreather is definitely not to be sniffed at! 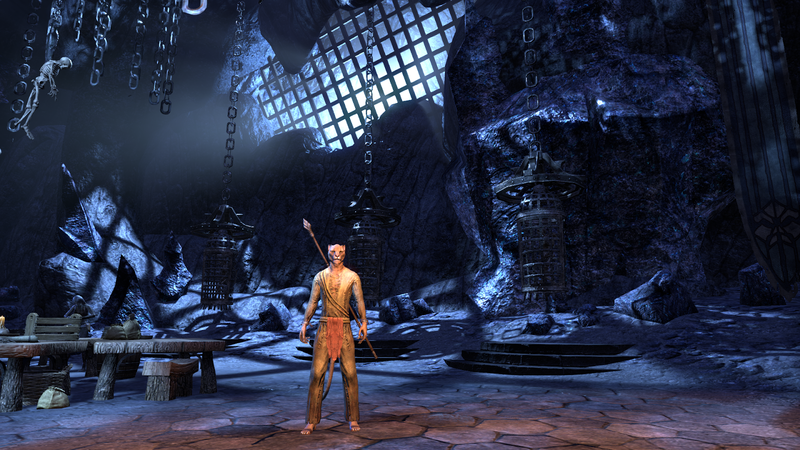 Fortunately we began by grabbing several bags from the Guild Vault or there might have been an overflow crisis. Even so the available space filled up fast. In an annoying and entirely unnecessary precaution against inflation of the economy all the items are Soulbound, non-salvageable and unsellable so the finale of the "pulling things out of thin air" magic act was the serial destruction of everything she'd been gifted. It did make the whole exercise seem singularly pointless but then the alternative would be to suppress the rewards when you use a scroll and I'm certainly not advocating that. Free stuff is free stuff even when it's free stuff you immediately destroy..
Scraping around the bank we also found a stack of the new xp scraps that drop out of the latest daily chests. They give a couple of thousand or so xp each. I wonder if that scales? Next time I'll use them first just in case it doesn't. She got another two levels that way landing her at 52. 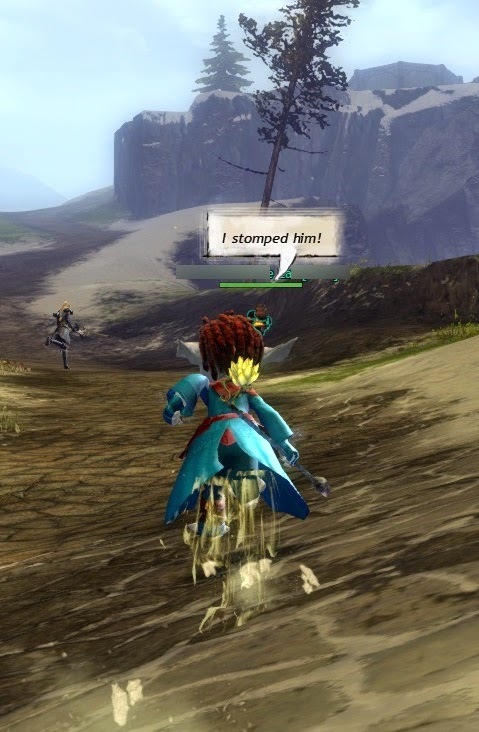 By now it must be apparent even to the casual observer that GW2 has chosen to take a singularly piecemeal and scattershot approach to giving players a leg-up to the end-game it famously doesn't have. Instead of the simple boost-to-90 or instant high level character of other MMOs we get a whole slew of in-game items that do the job in stages and require a deal of micromanagement. They don't all stack with each other, either, even when they look identical and have the same names. It all smacks of a lack of both forethought and organization but I can't deny that it's more fun than just pressing a "take me to the top or as near as you're going" button. It has the benefit of tactility and that's something I value highly in my MMOs. Once we'd had all the free levels we were going to get it was dress-up time. Gearing a new character on an established account is both cheap and easy these days. A full set of level 50 Rare armor, weapons and accessories from the WvW vendor certainly doesn't put much of a dent in six and a half million karma. Runes and sigils from the TP run a few silver. I went with a set of Ogre Runes for the Zerker-friendly stats and the invaluable rock dog proc. I notice a lot of those rock dogs these days. Popular rune. Popular dog. Lastly came the skills and traits. The leveling process left New Ele with over 50 skill points but that wasn't enough to take everything she wanted so she sped-read through thirty or forty of the four hundred or so skill scrolls piled up in the bank. The necessary trait unlocks cost just a few silver from the vendor. You'd look smug too if you'd taken an enemy Garrison three times on your very first trip to The Mists. The much-ballyhooed alternate options for opening traits up via gameplay make no more sense now than they ever have. Less. It's hard to imagine anyone actually heading out to "earn 100% Map Completion in Fireheart Rise" - a level 60-70 map - to open a blue adept trait useable at level 40 that costs 10 silver to open at the vendor, for example. Again these are mechanics that sometimes seem to have been designed by people who have not only never leveled up a character themselves but never even spoken to anyone who has. In the end though I'm not sure if any of that matters. What does is that, for the hour or two I spent creating and preparing this new character I thoroughly enjoyed myself. There are a lot of ways to have fun in an MMO and doing things the long, slow, or hard way isn't the be-all and-all, much though I and others might bang on about it now and then. Sometimes it's fun to splurge. If I'd had enough scrolls and tomes and scraps I would certainly have taken New Ele all the way to 80. As it is she's had all the bootstrapping the account and guild bank can offer. The next stage is to let her use up some of the many XP boosters we have lying around. Might even use a Guild Banner or two. And there's always the crafting option. Level 80 here we come! EQ2 is in a strange place these days when it comes to leveling. The devs seem keen for players to get a move on and not hang around in the low and mid levels. We get regular boosts, sometimes for everyone, other times just for the paying few. This weekend Gold players (we used to call them Subscribers but that's Olden Days talk now, apparently) enjoyed a 150% bonus to both adventure and craft xp and last week SOE bumped up the instant high-level Heroic Character option so that it starts at 90 instead of 85. A while back, when someone was fiddling about under the hood trying to sort out the mess the expansion had made of tradeskill xp, the whole crafting xp curve got compressed so now leveling a crafter takes a fraction of the time it used to do. The message coming from SOE Towers is mixed. Even though the devs want us to get on with it, they still seem to have clear (if occasionally conflicted) views on how and where we should be leveling. A number of changes came in along with the Altar of Malice expansion that were ostensibly intended to persuade players to do the final five levels in the newest content, changes that were seen by some as heavy-handed and coercive. Over the following weeks adjustments and tweaks were made to address some concerns but then the controversial decision was taken to remove all xp from player-made dungeons, thereby shutting down the most popular option for fast leveling. The whole thrust seems to be all about getting players through the first 90 levels as quickly as possible, skipping them altogether if necessary, so everyone can cluster together in a critical mass in the content that was created during the last 12-18 months. As a way of getting around the longtime problem of population-dilution that relatively-successful MMOs have always suffered it seems to be working. There's another motivation behind the drive to get everyone to the top of the ladder, too, it seems: a belief that old content just doesn't do a good job of representing the best an MMO has to offer. The cutting edge content, artwork and gameplay are all to be found in whatever zones, maps or expansions the designers worked on most recently, goes the argument, so to direct players anywhere else would be to do them a disservice. It's not a belief that's unique to SOE of course. Blizzard chose to funnel everyone into the last 10 levels by bundling a free Level 90 character with the current expansion. That clearly paid off - well enough that we should probably expect to see something similar become an industry norm, at least for the few themepark MMOs that do well enough to get expansions. 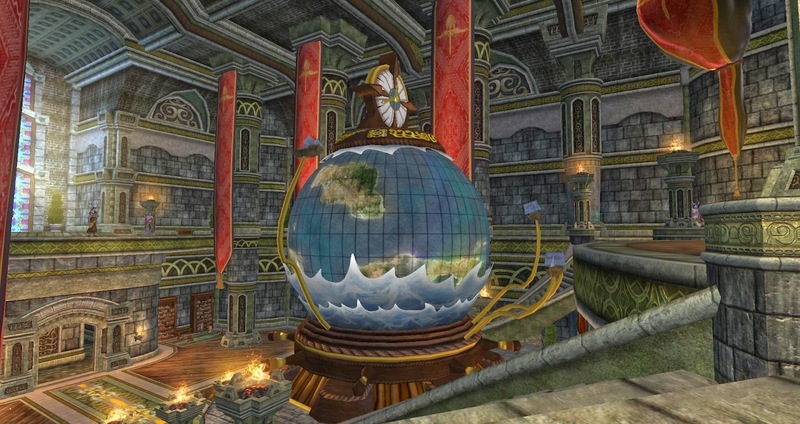 Companies using a F2P model will necessarily hope to monetize the process (a Heroic Character in EQ2 will run you $35 if you buy your Station Cash at face value, although most regular EQ2 players probably get theirs for a lot less than that) but it may well be that future expansions will see everyone get one free bunk-up to somewhere near the top. No doubt there will be variations on the theme. 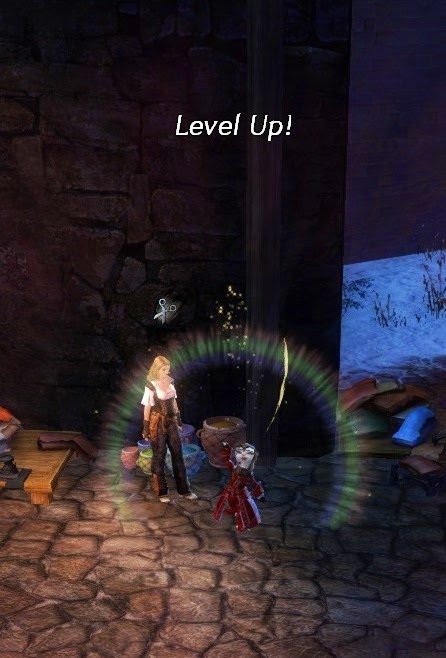 There's speculation that GW2's "expansion", if and when it comes, will use some kind of level-splitting mechanic to encourage (or even force) players to start over, all in the same place, perhaps effectively creating two separate games. Whatever the mechanics used, though, it does begin to beg the question "So what are all these levels for, then?". It's not just levels though, is it? Once you start to pull on this thread the whole tapestry begins to unravel. Why keep all these old, barely-used maps and zones and dungeons? Or these ancient quests and events and raids that no-one ever does any more? In fact why waste time on a "world" in the first place? Instead of spreading everything out wouldn't it be easier to sell each of these "expansions" as a brand-new, standalone game - the next episode in an ongoing series? Just close down each version when the new one's ready. Transfer the characters (maybe just the names) and you're off and running. All the thrills and all the publicity of a new product launch without the trouble of having to come up with an actual new product. You could even sell alpha/beta access to the new one for, oh, what, say half the lifetime of the old? Run them in perpetual overlap. The benefits are obvious. No need for divisive stat squishes or re-balancing: there's no power creep and the "inflated economy" resets before it becomes a major pain. Could probably even re-use a lot of the art assets if you go with the ever-popular cataclysm scenario. Once you start to look at it this way it's hard to remember why anyone ever thought a truly "persistent virtual world" was a good idea in the first place. Eh? What? What's happening? Hmmm, I think I might have nodded off for a moment there. Was I having some sort of bad dream? What was I going to write about? Oh yes, my weekend in EQ2. Well, the berserker didn't quite make 100. Topped out at 99.7. Even with 150% server xp, full vitality and a 110% potion running, the xp that dribbled in from the AoM questline wasn't all that impressive, so it was back to Freeport to see a Chronomage and off to good old Chelsith for a couple of circuits before banging through a few mentored dungeons. If they want us to do the new content perhaps they might make it competitive. Wait, I didn't say that! I like my mentoring xp! The new zones are gorgeous though. A visual feast and beautifully designed. Tons to look at and pleasingly little to fight before you get to see it. I took a lot of screenshots and gosh-wowed all over the place. That globe is freakin' amazing! And I got a version for my house! The storyline continues to be interesting if completely confusing. I lost track of what was going on a while back but I know the Akheva are in it up to their necks and something about the Shissar? Anyway, the last few quests should just about see me over the line even without bonuses. Also I got some crafting in that took my Sage from 62 to 75 in just over an hour. I remember when that would have taken a week. And the sage started Raffik's questline. It was nice to see the little fellow again. So, a fun weekend, all in all. Let's do it again sometime soon. And when I'm a hundred I might start a new character. Er.. when the Berserker is level 100 I mean. Not much chance of me going a hundred hours without making a new character somewhere. There's nothing like leveling up, is there? I love it. Can't get enough.